This volume fulfils a long standing need of vertebrate palaeontologists, whether they be amateurs attending their first excavation, or preparators and curators, for a book that describes and explains modern palaeontological techniques and practice. 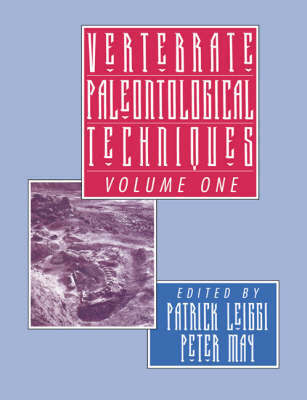 The authors of this volume are all exceptional technicians in their field and the book covers everything from field specimen collecting, through conservation methods, chemical preparation, moulding, casting and painting, and mounting of vertebrate skeletons, to the final chapter devoted to the use of CT scans and X-ray methods. This book aims to describe modern preparatory techniques and skills that have usually only been passed down by example and demonstration, and that until now have rarely been standardized or put down in print.